In most houses, the bathroom is one of the most used areas of a home. However, some bathrooms look dated and leave a lot to be desired. Despite this, there are many simple and effective ways you can add a touch of class to your bathroom even though you are remodeling on a budget. Below are some of the ways you can do this. A wide range of designer radiators provided by companies like Warm Rooms are available. Typical models include horizontal and vertical designer radiators that have a very practical purpose and still manage to look amazing. Tiles play an extremely important role in a bathroom and yet they are often not given the respect they deserve. Floor tiles, particularly, can start to lose their good looks over time, especially if a lot of people walk in and out of this part of your home. When tiles are stained and look like they’ve seen better days, many homeowners think about replacing them. However, in most cases, you don’t need to do this because local tile and grout cleaning companies have the equipment and experience required to bring your old tiles back to life and make them look as fresh and clean as they were when they were first fitted in your bathroom. 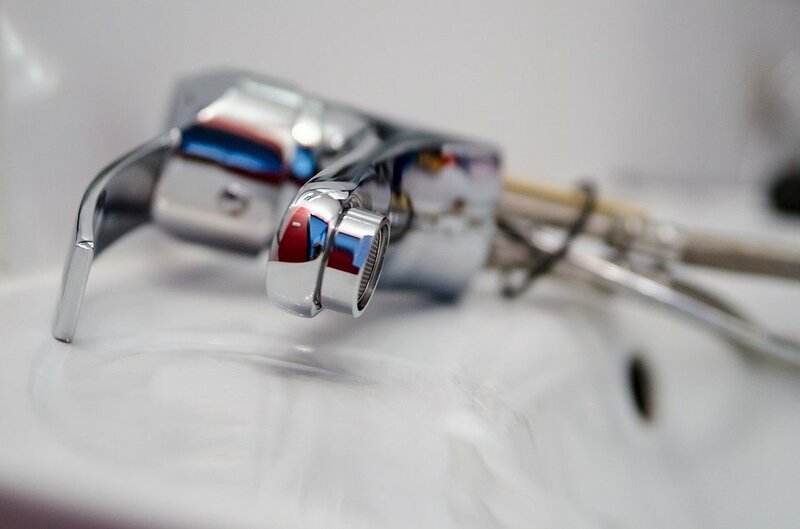 Fittings such as taps, shower curtains, toilet handles and shower heads are used quite often and they can eventually show signs of wear and tear. When a homeowner contemplates adding a touch of style to this area of their home, they often consider replacing an entire shower, sink, toilet or bath. In most cases, this can be a complete waste of money. Instead, you should only replace existing fittings like taps and toilet handles with more eye-catching alternatives. This simple change has the potential to transform the look of any bathroom and save you a lot of money in the process. For a sharper, cleaner look, adding more glass and mirrored features will impress anyone who sets foot in your bathroom. Even practical bathroom features such as storage items that are covered in glass or mirrors will come to life and ensure that people comment about your bathroom for all the right reasons. When you do believe you need to replace existing bathroom features, it pays to add items made from high-quality materials such as marble. Sink units and other items made from these high-quality materials are guaranteed to last longer, which means they won’t have to be replaced soon, which can be a more expensive way to add style to your bathroom. Unfortunately, many people neglect their bathrooms and don’t give their bathroom the attention it deserves. This is a big mistake to make because bathroom builds equity on your home and also this area of a home is used by a lot of people including your guests and if your bathroom is not something to be proud of, your guests won’t be impressed. Making the changes above will solve this problem and ensure that your bathroom looks stylish with you having to break the bank. Alec Neufeld is a retired builder, now freelance writer and part-time general fix it man. He has strong opinions on the use of alternate energy and is also an avid sports enthusiast.